Hello! So I guess I am technically cheating on this weeks post, but I thought I would share some of our old family photos (and totally not because I haven't taken any pictures of my kids since Halloween). This first one is a real gem and one of my favorites. My mother and two oldest sisters in matching handmade stripes/apples outfits. A part of me really wants to reenact this picture with my own two girls, I know my mom would think it was hilarious. 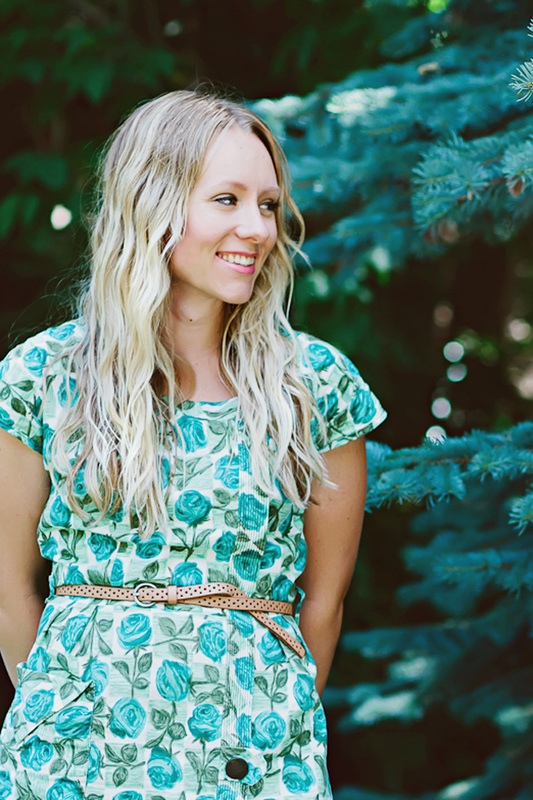 I do find myself matching my kids on accident with similar color schemes and styles frequently, how about you? When I was young we lived in California. 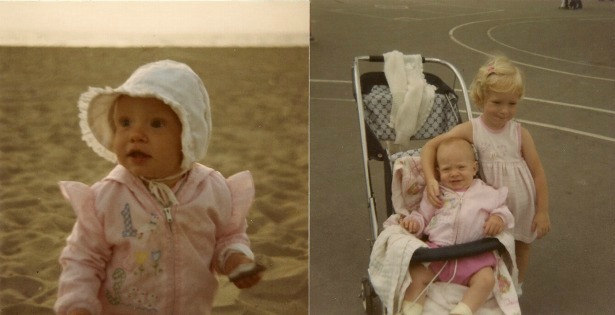 That little beach baby is me, and my sister just above me is standing by the stroller. 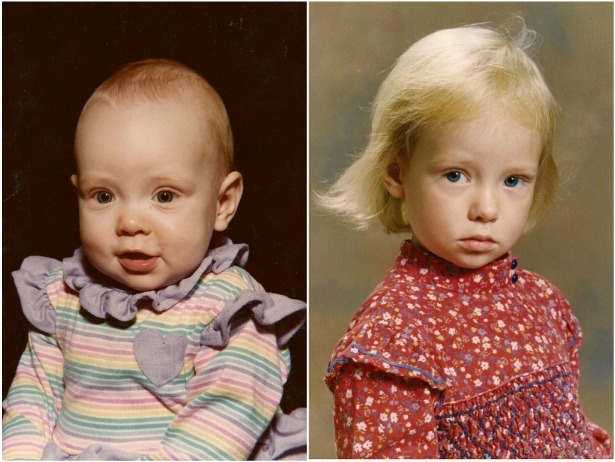 My sister and I are about the same age difference as LM and Lark, and when I look at these pictures I can't help but see them. I was so happy when I found out I was having another girl because I know what having a sister so close in age is like - awesome! I also found a jacket pretty similar to this one that I am looking forward to Lark wearing this Spring. Here I am at 8 months and 3 years, the same ages LM and Lark are now. I thought it would be fun to make a comparison. I can still remember hating that red calico dress - I did not want to wear it and I'm pretty sure I made that clear in the picture! To this day I very rarely wear red. Some things never change. 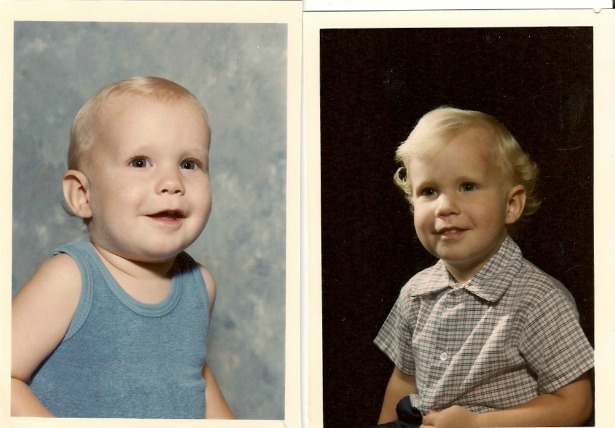 And, here is Husband at 1 year and 2 years (the closet ages I could find to the girls). I think LM looks more like him, but Lark looks more like me. What do you think? Oh you were so cute! What a fun idea to do old pics of you! I agree, LM looks like your hubby and Lark looks like you! Awww, love seeing these old photos. You sure were a cute baby! Such a sweet little jacket! I look forward to seeing Lark's version! And I totally match my kids sometimes- without planning it at all! Love seeing this vintage photos! Haa - that photo of you in the red dress is so great - love that you wouldn't smile in that dress!! Agree that LM looks like your husband and Lark like you. And you look like your mom!! Great photos! i love seeing people's baby pictures. you and shawn are so cute. That photo of your mom and sisters made me triple-take. I thought it was you, LM, and Lark. Incredible. I *love* this post. I had a dress very similar to your red one. Mine was cream with blue tone flowers. I loved it so much. Thanks for the sweet memories. Haha! I love those pictures! 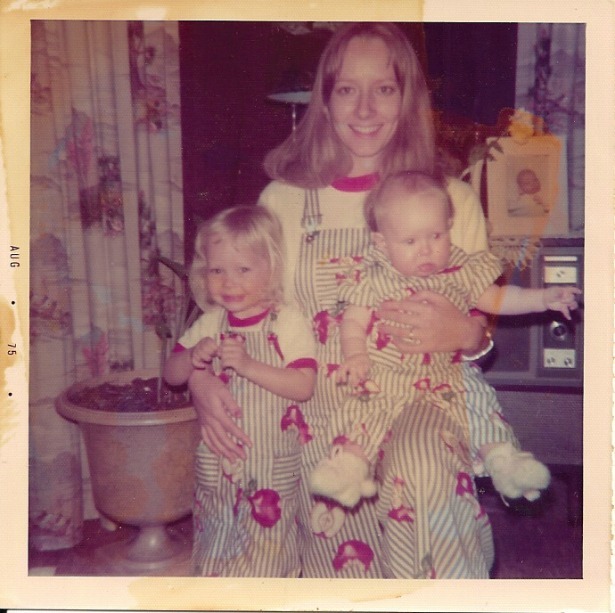 I can't believe mom had time to make those matching outfits! I love me a little blast from the past, thanks! 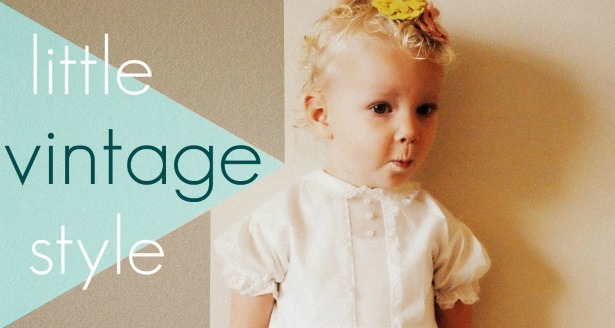 Just found your blog through Danielle's and it is a.maz.ing. REally.